At an elevation of 10,152 feet above sea level in Lake County, Colorado, Leadville is the highest incorporated city in the United States of America. Located approximately 100 miles west of Denver, Leadville and Lake County are noted for alpine scenery, year-round recreation and the charms of small-town life. Only a 1 hour and 45-minute drive from Denver, and a short distance south of Interstate-70 on Hwy. 91 (from Copper Mountain) or Hwy. 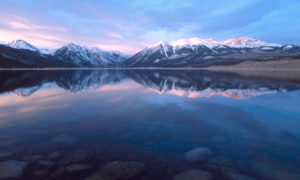 24 (from Vail), Leadville is within an easy drive of many of Colorado’s world-class ski resorts. Lake County, Leadville and Twin Lakes, Colorado are rich in history from the boom and bust mining days in Colorado. The charming, historic mountain towns nestled among the highest peaks in Colorado, are surrounded by vast public lands, pristine rivers, numerous reservoirs, and ski areas where recreation abounds. 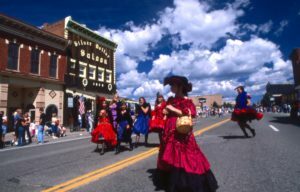 Many infamous characters lived in or passed through Leadville, such as Baby Doe, Horace Tabor, Doc Holliday and the “Unsinkable” Molly Brown. Lake County is home to approximately 8,000 residents who primarily live in Leadville and Twin Lakes. This number grows significantly in peak tourism seasons. From longtime locals with families that are rooted in our mining history, to new citizens who are inspired by our rugged small town atmosphere, St. Vincent Hospital excels at meeting the diverse healthcare needs of a population that changes with the seasons.